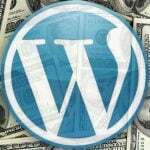 WordPress is taking over the interwebs and are making Entrepreneurs rich. Don’t you want your piece of the pie? 673,000 searches alone in January! That’s 21,709 potential customers PER DAY! Since our launch in 2015, our Reseller Hosting has been thriving with micro-niche web development! For example, one of our largest Resellers, develops websites for family-medical practices across the United States. They charge for WordPress website development, basic social media setup, and of course web hosting and domain name management. By targeting a specific niche, they’re able to isolate their focus and have become experts in the respective field (family medical website design). The owner told me he’s looking at doubling his business already from last year and is hoping to make an appearance on the next Inc500 Fastest Growing Companies. Pretty amazing! With more people now working from home than ever, the demand is almost exceeding the development! 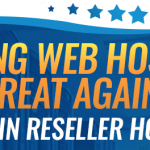 We’ve spent the last two years building our platform, training our team, and becoming a leader in WordPress Reseller Hosting. There is no question that a doctor, lawyer, accountant, etc. 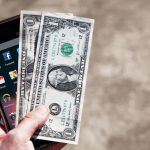 have money to spend on a website. When targeting these micro-niches, you know they’re going to have money to pay their bill. On the flip side, if you’d target startups or students just out of college, they’re going to have a limited budget and you’re going to have to do more volume to sustain long-term success. 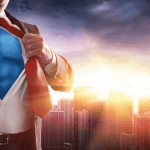 Find one that you know has the means and will value your professional services. Just because you’re not a professional web designer doesn’t mean you can’t develop a beautiful WordPress website; that’s why they make themes! It’s perfectly OK to purchase a theme for your client and customize it! They just want a good looking website that is functional across ALL devices! Busy doctors don’t want to have to pay one person for WordPress development, another to setup their Facebook, and another to do their marketing on Google Adwords. Organizations that offer all of these type of services a la carte or per package are able to focus on lower-volume, higher-quality services. 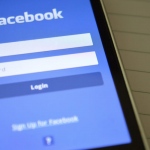 Aside from developing their website, do some basic social media profile integrations. You can charge your clients extra if they wish for you to “manage” their day-to-day postings, but initially you can just setup their profiles and have everything nicely integrated on their website. These profiles will also provide some nice backlinks to help them start getting indexed in Google. Also, if you understand SEO (it’s not hard) also consider throwing that in a package! I’ve been working a good portion of this week on some very special domain pricing for our Resellers. 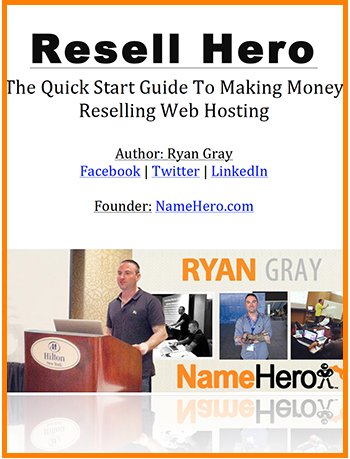 Regardless who you sell a website to, it all starts with a domain name. Encourage your clients to invest in their future by securing multiple TLDs as well as their family members names. I frequently relate back to not registering RyanGray.com back in 1998. A huge mistake! Also, as long as you have our Corporate Reseller account, you get a free WHMCS license and can manage all your client’s registrations with ease. Explain to your clients the advantage of using WordPress as their content management system (CMS). Let them know that you can create their employees unique user names so they can all login and contribute to the website. Show them how easy it is to install plugins and manage their site without any coding or HTML experience. The time is now to capitalize on this very exciting and unique opportunity. Local customers want someone who is willing to spend time with them and help them fully develop their web presence. If I had to start all over tomorrow, this is exactly how I would go about it.